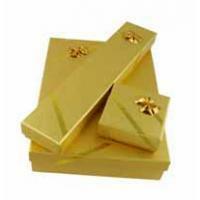 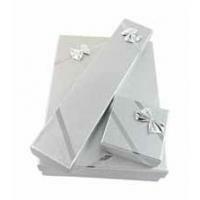 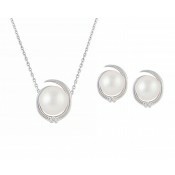 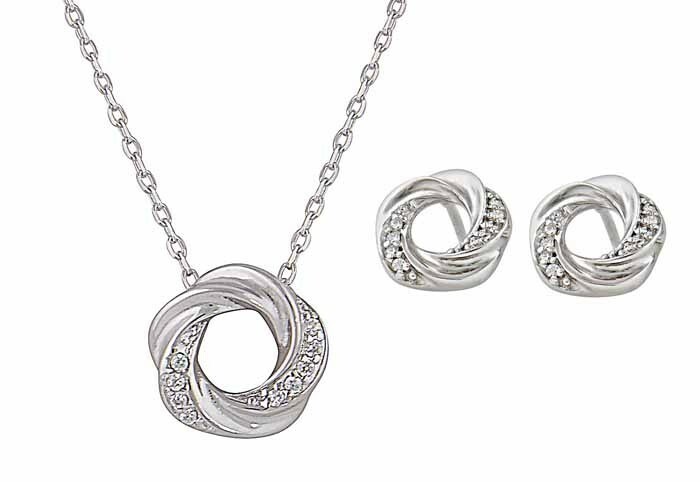 Dazzle on the very first glance with this captivating jewellery set. 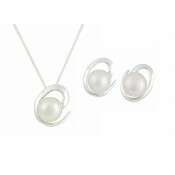 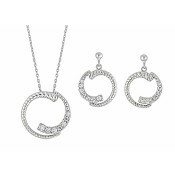 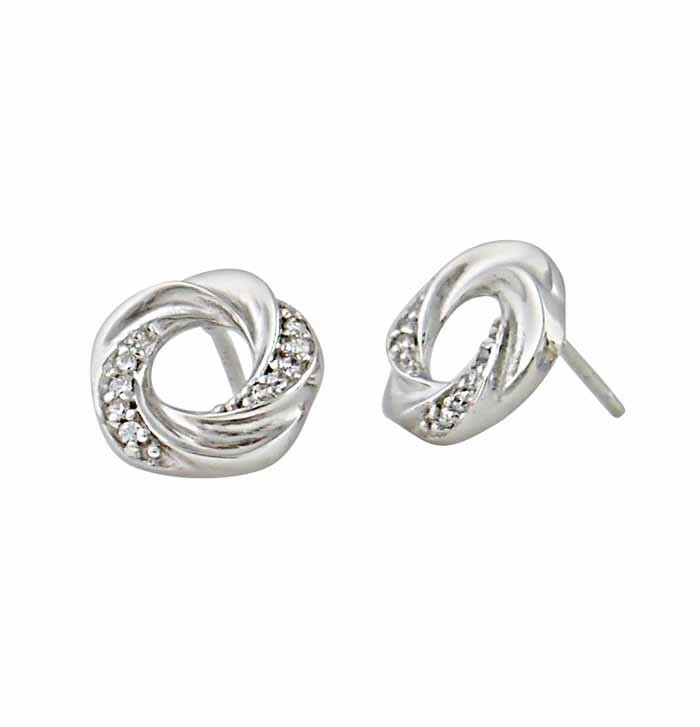 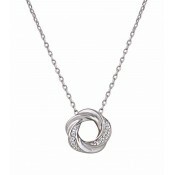 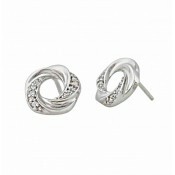 It features a pair of stud earrings and a pendant necklace - both crafted into an intricately twisted circle. 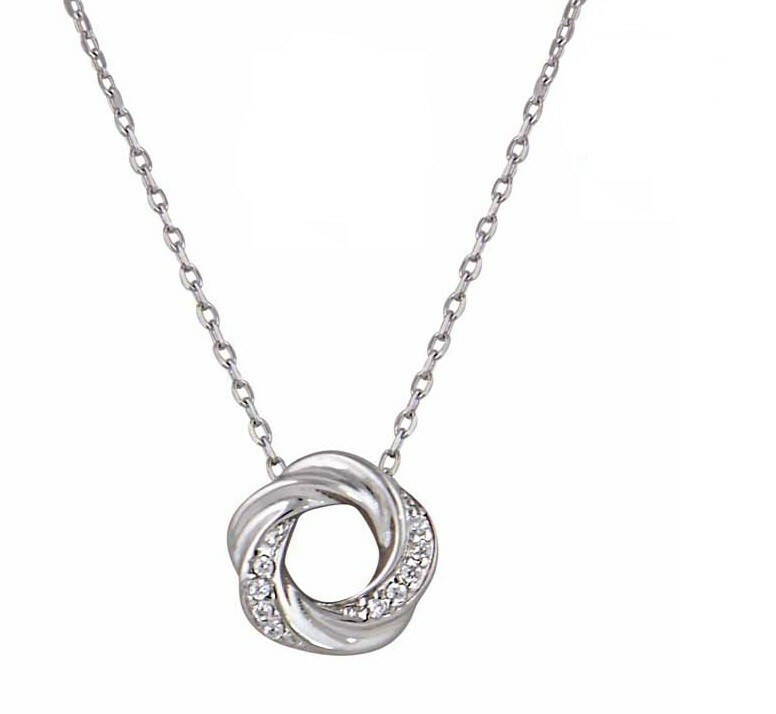 Added shimmer comes from the inclusion of clear cubic zirconia stones and the matching pendant comes strung on to a comfortable silver chain.